10,000 hours in hamburg. – static confusion. gaining perspective., words from the wise. hamburg, germany. it is a city that is often referred to as the “gateway to the world”. as with most german city states, its history is composed of both intrigue and controversy. reeperbahn, otherwise known as the “sinful mile”, still burns as a seedy red light district whereas speicherstadt (storage town) encapsulates the port city’s rich history in spice and coffee trade. yet perhaps what makes hamburg so well-known–culturally at least–is its local music scene, which is credited for propelling the beatles to international fame. in malcolm gladwell’s book outlier, he suggests that “the hamburg crucible is one of the things that sets the beatles apart”. he uses the fact that the beatles are “known to have played over 1200 times [in hamburg]” to support his 10,000-hour-rule: that the “true derivative of success is not talent or luck but practice”. 10,000 hours of practice to be exact. a 2008 time magazine review describes outliers “as a story about the context in which success takes place: family, culture, friendship, childhood, accidents of birth and history and geography.” a faithful fan of the tipping point and blink i am embarrassed to admit that i only just finished outliers. and funnily enough it was on the heels of a european expedition in which hamburg was part of the itinerary. perhaps it was the company i was with (KF! ), perhaps it was the 10km walk to the beach bar or perhaps it was conversing over a gin and tonic at the amanda bar in sternschanze … there was definitely an energy to it. now i understand the success of beatlemania. one of gladwell’s first cases for support that practice perpetuates achievement is that success is based on individual merit. we all have the potential and qualification to succeed. unfortunately, only a small margin of society has access to the resources and stage to showcase our merit. then again, humans are resilient and with some push and perseverance we can all aspire to sing on the world stage. or do an armstrong and leave our own footprint on the moon. another attribute found in an outlier according to gladwell is the year in which you were born. apparently the 1860s, 1870s and 1950s produced some good sperm: the red carpet rolled down wall street and geek-chic made techies cool (and a few couple billionaire wunderkind to boot). i was born in 1982, the year that kickstarted gen-y (says william strauss). we were believe to “come of age” in 2000 and are criticised for being “selfish and narcissistic” whereas others argue that we are merely different from our predecessors, credited for “challenging social convention” and “igniting a movement to reclaim our world”. gladwell argues that the events of your birth year are also indicative of who you become. if this is true then i have no idea what the sale of the first CD player, recession in the US, disputes over international whaling, the first live-to-air broadcast of the weather channel, the landing of russia’s vanera 13 venus landing, times’ man of the year “the computer”, the introduction of the smiley emoticon, ET phoning home, rocky’s third round, the pop rock ballad ‘eye of the tiger’, knight rider and the relations between prime minister trudeau and president reagan have had on my development as a woman, if any (ok so the politics of trudeau make sense, mr gladwell i’ll give you a point for that one). perhaps one of the most interesting aspects of the book’s research was the depth at examining the “ecology of the self.” gladwell tirelessly investigates several conditions that help to create the self, the most impactful perhaps is the ‘culture of honour hypothesis’, which says “that it matters where you are from, not just in terms of where you grew up or where your parents grew up, but in terms of where your ancestors grew up.” of course this makes perfect sense: the family culture which transcends generation after generation. but how many of us even know our family ancestry? i was a little disappointed to learn that my family name didn’t come from the luck of the irish. some quick research taught me that the beatty name is a border name which means we came somewhere between scotland and england, possibly in the late 1800s. the first recorded spelling of the family name is shown to be ‘batie’ in the 1330s during the reign of king david 11 of scotland. the family was mix of burgesses (a person of municipal power or member of parliament from a university) and enjoyed a modest existence. 700 years later, i’d like to think we’re still doing just fine. interestingly, gladwell writes, “it is not easy to be so honest about where we’re from.” i could be taking this out of context–and i admire the man’s brilliancy–but i have to disagree with him on this one. we should all recognise where it is we come from. because even if we don’t think it was a good place it is unchangeably a part of us. we may not be able to rewrite our history but what we can influence though is where we are going and create (or continue) a proud pathway for our successors to write marvels about. in other words, by acknowledging our past we can shape opportunity in the present. the true essence of what shapes an outlier (?). 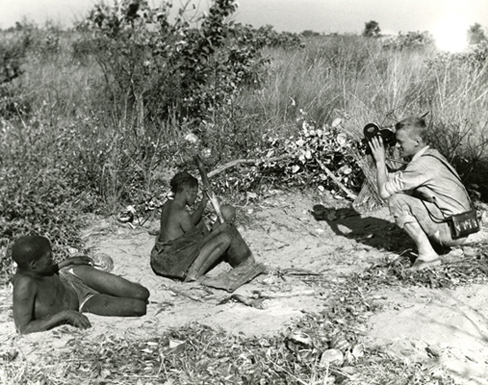 the !kung bushmen (by filmmaker john marshall). finally, the best part of the book came towards the end when gladwell suggests that “all of us are descended at some point from hunter-gathers.” perhaps it is my recent epiphany to sit closer to the earth, to try to live naturally off of our land, to welcome veganism as a means to connect my politics with my ethics to my existence, gladwell’s case study of the !kung bushmen of the kalahari desert in botswana “as one of the last remaining practitioners of [hunting and gathering], subsisting on a rich assortment of fruits, berries, roots ad nuts…working no more than about twelve or nineteen hours a week, with the balance of the time spent dancing, entertaining and visiting family and friends.” it is peacefully inspiring to know that in this chaotic, intense yet beautifully maddening world that there are humans that still live this way of life. and as world health reports being published state that the world needs to shift to a vegetarian diet by 2050 and the influx of people building sustainable villages to live off the grid, perhaps the !kung bushmen won’t become an outlier extinction but a tribal celebration as a new way of life for the many of us blinded by unhealthy capitalist consumption. so where has this rant taken me? i am not quite sure as throughout my drifting in hamburg i thought it was interesting how beatles and bushmen could exist in the same world yet live in such cultural extremes. so my hamburg crucible? just learning to make the most of life. outlier or not. Previous Post the greatest urban love affair. 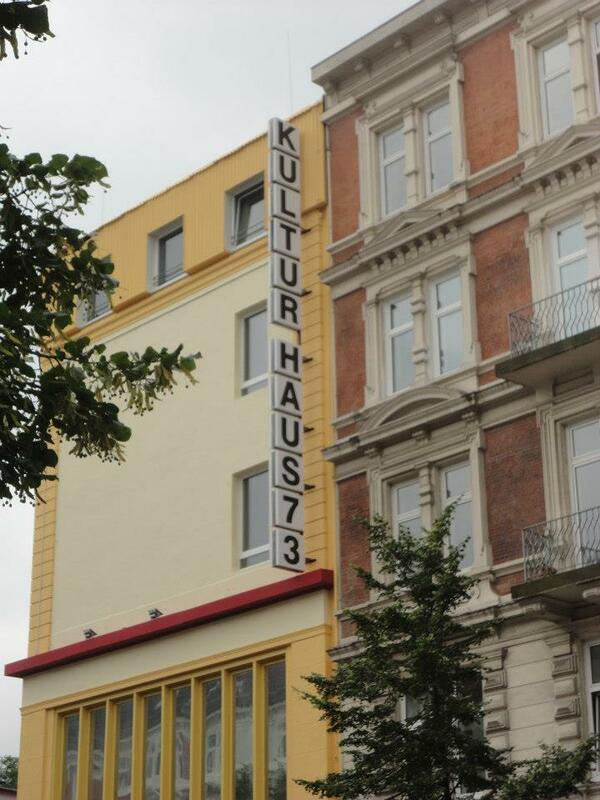 Next Post der flaneur … berliner.